A brisk chill pervades the air. Leaves transform into brilliant autumn hues before crisping beneath the feet of tourists and locals alike eager to sample the fleeting bounty of ciders, apples and other fall treats. Amidst the bustle of daily life lies subcurrent of another, more supernatural, activity that pervades the history of Central New York. This history, taking its form in the birth of the modern Spiritualist movement and local folklore, is the subject of two Seward House Museum programs: Spiritualism: New York State’s Haunted Legacy, and our annual Haunted History Tours. The supernatural activity in this region first came to light in the 1840’s with the advent of the Fox sisters. Margaretta and Catherine Fox dazzled their family and neighbors with claims that they communicated with the ghost of a murdered peddler whose body moldered in their farmhouse basement in Hydesville, NY. News of the Fox sisters’ spread quickly as this region enjoyed an economic boon sustained by access to the Erie Canal and rapid industrialization that created an influx of new settlement. 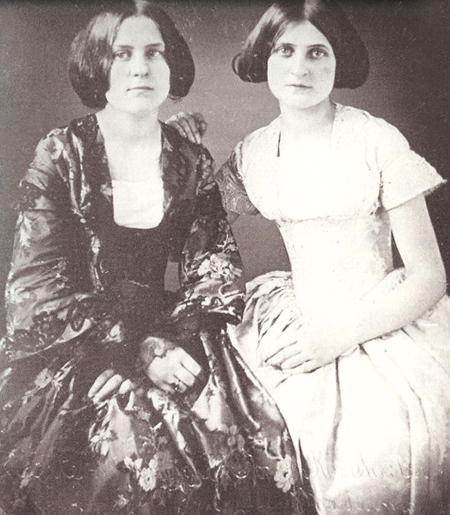 The emergence of the Fox sisters along the pandemic diseases like cholera, diphtheria, and influenza that severed families, created an interest in mediumship that swept across the entire country. By 1854, Spiritualists claimed one to two million followers and supernatural phenomena warranted a 15,000 signature petition brought before Congress to have a scientific commission investigate it further. The effect of the Central New York Region on the development and spread of Spiritualism is the subject of a lecture on October 10th entitled, Spiritualism: New York State’s Haunted Legacy presented by Cyn Hogan, a PhD. candidate in Religious Studies at the University of North Carolina, Chapel Hill. The event runs from 7 – 8 PM at the Seward House Museum. The cost is $12 for members, $15 for members of the public. A reception will follow the presentation. Reservations are required. With the rise of spiritualism beginning as a re gional phenomenon, it is not surprising that Auburn’s own history is peppered with tales of supernatural activity brought about by Auburn’s grisly past. This folklore woven with the history of Auburn’s historic founders form the basis the basis for the Seward House Museum’s Haunted History Tours. Over the course of an hour, visitors accompanied by a costumed guide, learn the macabre tales that lurk behind the respectable facades of History’s Hometown. Perhaps the most gruesome incident is the case of William Freeman. Freeman was wrongly accused of stealing a horse and sentenced to 5 years in prison. Freeman was regarded as a brooding and ugly prisoner. He became a victim of guard brutality and was beaten into madness. In his deranged state, he exacted revenge on the unsuspecting Van Nest family who lived up by the shores of Owasco Lake. Freeman brutally stabbed the five members of the family, including a pregnant woman and small child, before fleeing the area. William Seward acted as Freeman’s defense attorney, giving the case a strong connection to the house. Other tales include the mysterious incident of Auburn’s most famous miser, Anthony Schimer, and his missing gold, William Seward Jr.’s ghost regiment, and Fanny Seward’s chilling account of the assassination attempt on her father. 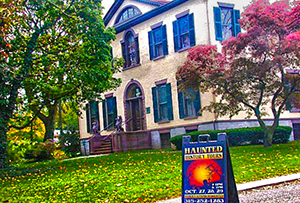 Haunted History Tours run from 10/24 – 10/26, 10/28 – 10/30 at 6 and 7 PM beginning at the Seward House Museum. Adults are $10, Children (12 and under) are $8. Reservations required. 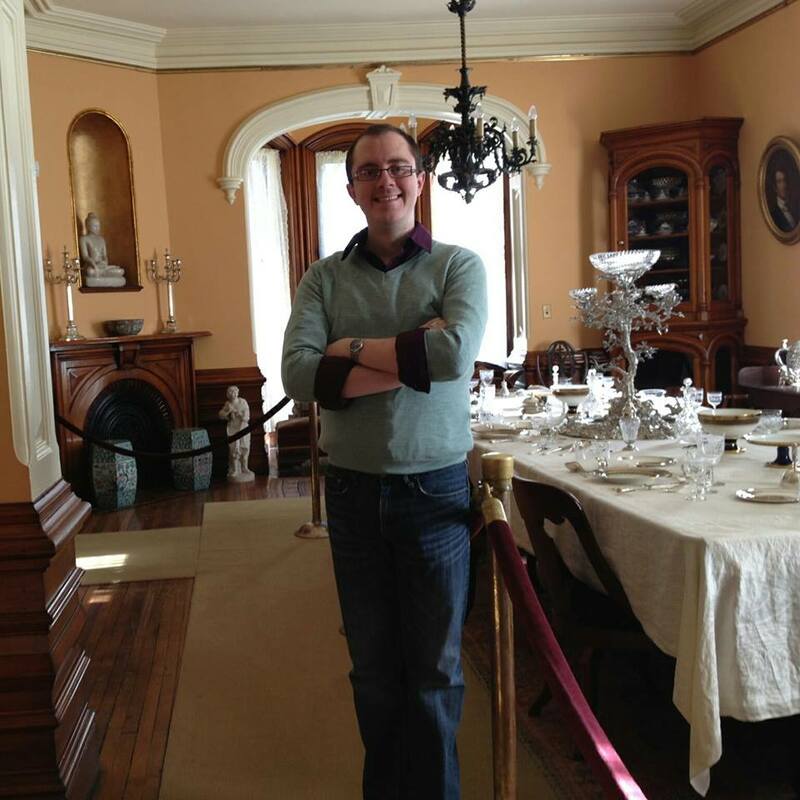 John Kingsley is the Dire ctor of Education for the Seward House Museum and is responsible for planning and executing the museum’s public programs. Prior to this position he worked as a Research Fellow at the Thomas Cole National Historic Site in Catskill, NY and as an Education Intern at the Morris-Jumel Mansion in New York City.